Mr. Statuto has served as a member of the Board of Directors of Premier, Inc. since May 2013 and the Management Committee of Premier Services, LLC since September 2013. Mr. Statuto has served as Chair since his appointment on September 6, 2013. He was a member of the Board of Directors of Premier Healthcare Solutions, Inc. and the Board of Managers of Premier Plans, LLC from 2011 to 2013. Since 2005, Mr. Statuto has served as the President and Chief Executive Officer of Bon Secours Health System, which has more than 30 facilities in seven states in the eastern United States and is one of our member owners. Previously, he served as President and Chief Executive Officer of St. Joseph Health System from 1995 to 2004. 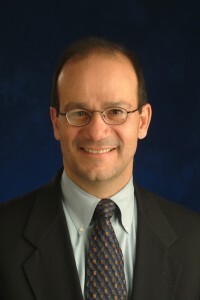 Mr. Statuto currently serves as a member of the Boards of Directors of Covenant Health Systems, Inc., Mercy Housing, Inc. and Catholic CEO Healthcare Connection. Mr. Statuto previously served as a member of the Board of Directors of Kmart Corporation, as Chairman of the Board of Directors of Catholic Health Association and as Vice Chairman of the Board of Directors of Christus Health System. Mr. Statuto obtained his bachelor’s degree in chemical engineering from Vanderbilt University and his Master of Business Administration from Xavier University.